Weeding is a vital part of maintaining good crops. Allowing land to become overgrown with weeds and other invasive species can ruin good crops and leave farmers struggling. As farmers know, weeding is an essential part of making sure you maintain a good crop. Pesticides come with many concerns over harmful chemicals and damage to original crops, so the Robocrop InRow Weeder was invented to tear up those weeds in no time without using chemicals. Cows are the most used livestock on earth and provide us with meat and milk on a massive scale. Large-scale cow-milking operations are incredibly time-consuming and can take hundreds of workers milking all day. Even automatic pumps on the udders is not ideal. Yes, you guessed it. A fully automated machine has been created which removes humans from the process altogether to offer greater efficiency. Being a root vegetable, potatoes require considerable digging. This harvester takes away some of hard work and tills the soil around the potatoes to raise them above the ground. 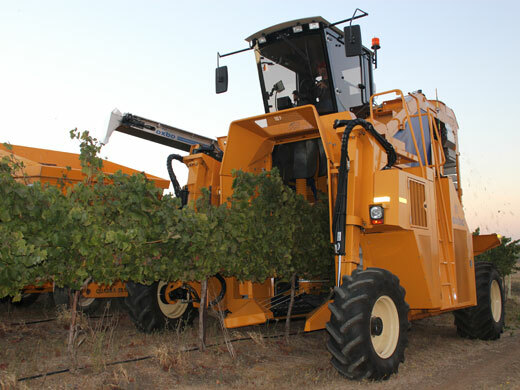 This machinery is available in both small-scale and large-scale potato harvesting operations. Lettuces are tough to harvest, often requiring many workers to spend considerable time bending and picking, causing many back complaints. Automation has since been brought to this practice too, saving the industry money and creating better jobs for people. Like potatoes, carrots are a root vegetable and as such, difficult to harvest. A machine has been manufactured to effectively harvest at an astounding speed, what would have taken hundreds of workers a lot of time to achieve. Automation plays an important role in modern farming and provides more skilled labour as a result.